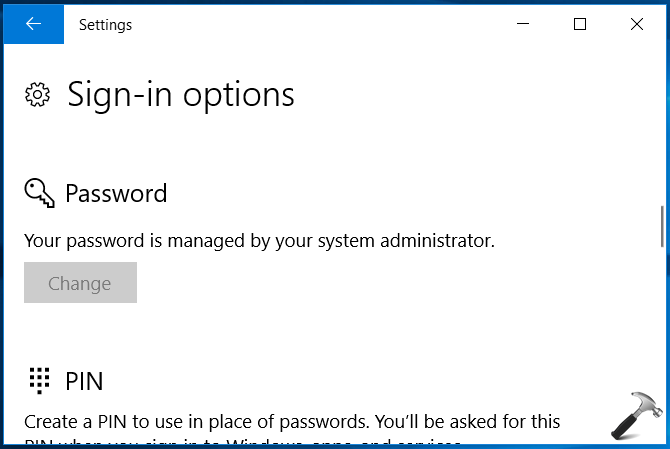 In this guide, learn how to allow/prevent users from changing password in Windows 10 via LUSRMGR snap-in or using Command Prompt. Now sometimes if you’re managing a large number of users on your system, and you want to prevent these users from changing their password, this article is for you. Actually, when you prevent an user from changing its password, only you can then manage its password. Here are the steps to allow or prevent change in password on user accounts. FYI: Lusrmgr snap-in is not available in basic Windows editions such as Home. Hence, below steps will work only on Windows 10 Pro, Enterprise and Education editions. For other editions, you can use Command Prompt way mentioned at the end of article. 2. In the lusrmgr window, double click on Users. 3. Now right click on your user account for which you want to prevent change in password and click Properties. 4. Finally, on the property sheet, under General tab, check User cannot change password option. Click Apply followed by OK. Close LUSRMGR snap-in. FYI: This method is only applicable to standard user accounts. If you apply this method on administrative accounts, it won’t work and you’ll receive following message instead: This operation is disallowed as it could result in an administration account being disabled, deleted or unable to logon. To bypass this error, you first need to change administrative account to standard user account and then try preventing change of password on that account. Finally, log-in to the user account for which is disallowed changing password. You’ll find that Change password button is already greyed out with Your password is managed by system administrator tag line. To allow changing password later, simply restore or uncheck User cannot change password option, which we configured at step 4. TIP: If you don’t have lusrmgr snap-in, use Command Prompt to allow/prevent changing password. Type net user <USERNAME> /PasswordChg:No command and press Enter key to prevent user from changing password. Use net user <USERNAME> /PasswordChg:Yes command and press Enter key to allow user from changing password. Replace <USERNAME> with actual and exact user account name.